During Sony’s first ever State of Play broadcast, the company came out swinging for the fences by announcing a slew of new games and PSVR titles. 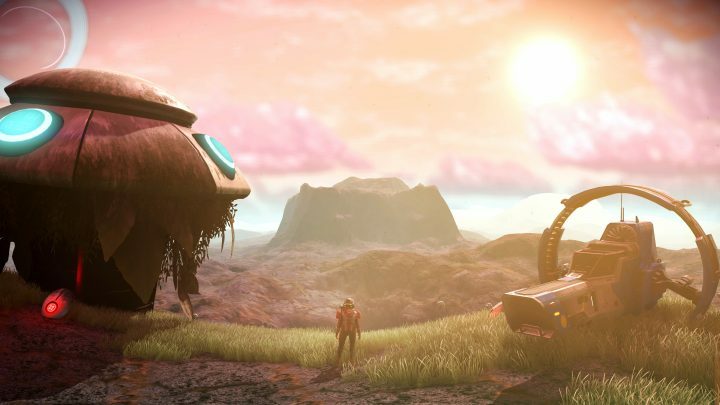 One of PlayStation’s biggest announcements from the State of Play showcase was the inclusion of VR for Hello Game’s massive procedurally generated universe No Man’s Sky. Yes, you heard that right, No Man’s Sky will be receiving special PS VR treatment and it is set to release later this Summer. Ground yourself on exotic planets and alien skies in an infinite adventure with No Man’s Sky Beyond. A part of a major new update, free for existing players. No Man’s Sky Beyond is coming summer 2019. In related news, Hello Games announced and detailed their upcoming update for 2019 which will be bringing a slew of new things to the game such as an online functionality. Now with the announcement of VR heading towards the game, Hello Games have a ton of work in front of them. Check out the full details on the online functionality for No Man’s Sky right here! No Man’s Sky Beyond is set to release later this Summer for all platforms. Are you excited about the new online component?